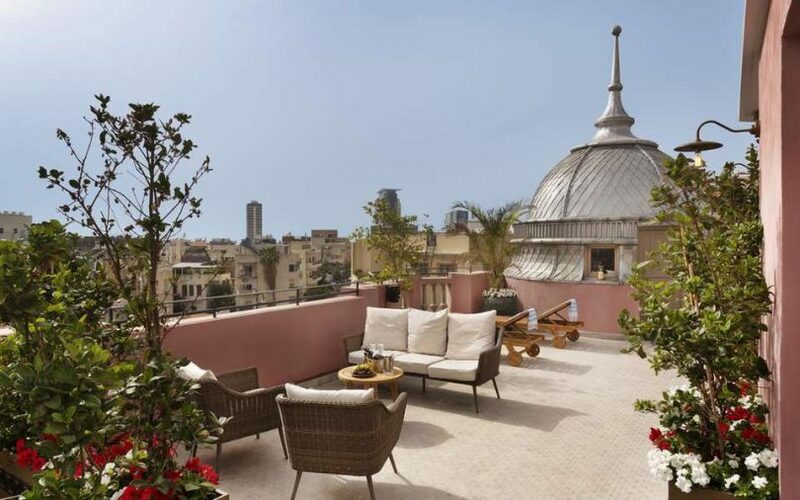 The hotel has become a landmark in Tel Aviv’s bustling district of Nachlat Binyamin. Built in 1925 by by Yehuda Megidovich, Tel Aviv’s first city engineer, it is the oldest active hotel in the city. The building had seen some years, so Ben Braverman, the man behind the quirky and colorful Hotel CUCU, took over this historic icon and initiated the restoration into a minimal, modern pad.